Do you need a stall? Great news for our potential traders. We have extended our bazaar and put in some new stalls. 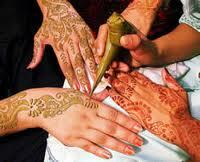 We have got few vacancies in our Bradford Bazaar. This is a big opportunity to grab for the people who wants to start new business or if you are already running your own business successfully so this is chance to go one step further. Climb your way to success with Bradford Bazaar. For enquires please contact Jas on 0777 846 3031.. Hurry up!!! once its gone then its gone. 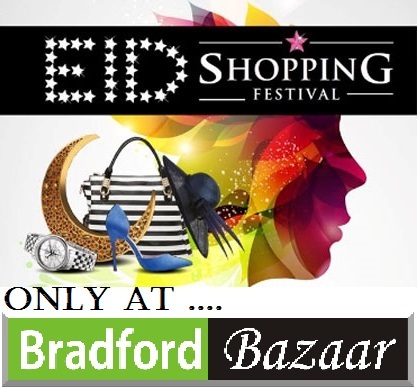 Bradford Bazaar will be opening Sat Sun Mon Tue Wed Thur & Fri from the 4th July until Eid from 10am until 8pm. 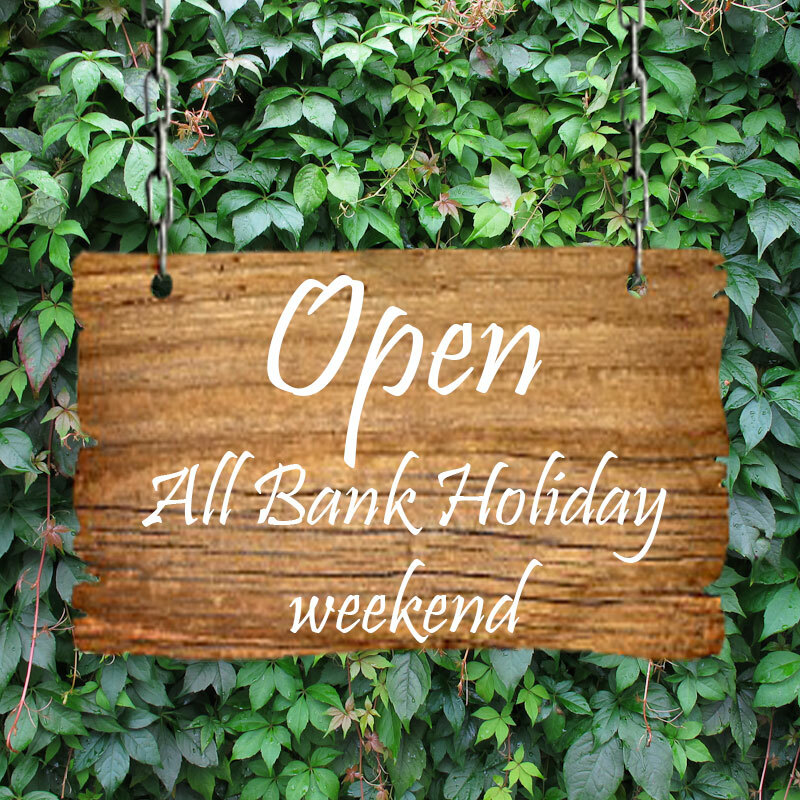 Come and join us with your families on this Bank Holiday week end. 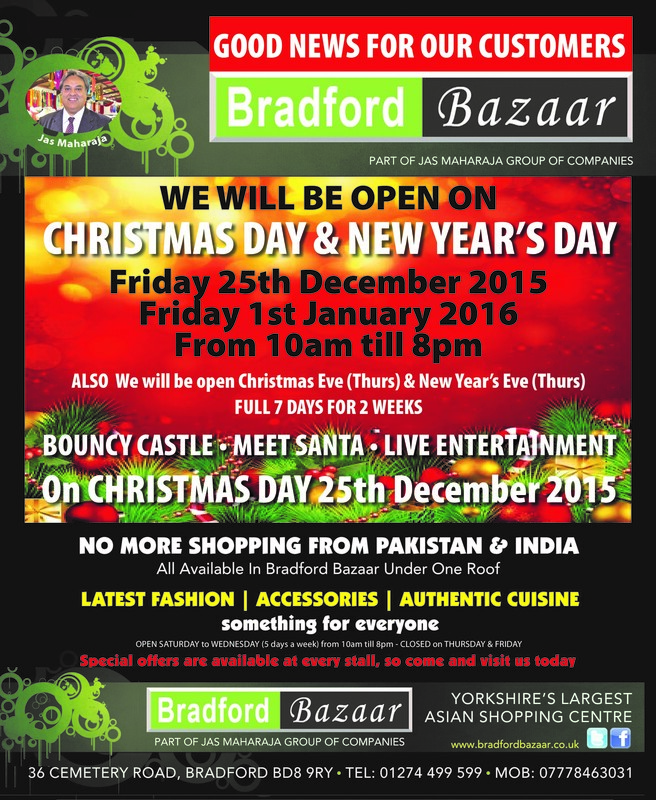 Enjoy your day out in Bradford Bazaar and take advantge of exciting offers plus mouth watering food from our Cafe Bazaar. Bazaar Sale starting soon doors open at 10am Many huge savings available from most stalls Offers will be limited though so dont delay Be an early bird to grab a bargain before they go. Good News for our customers. 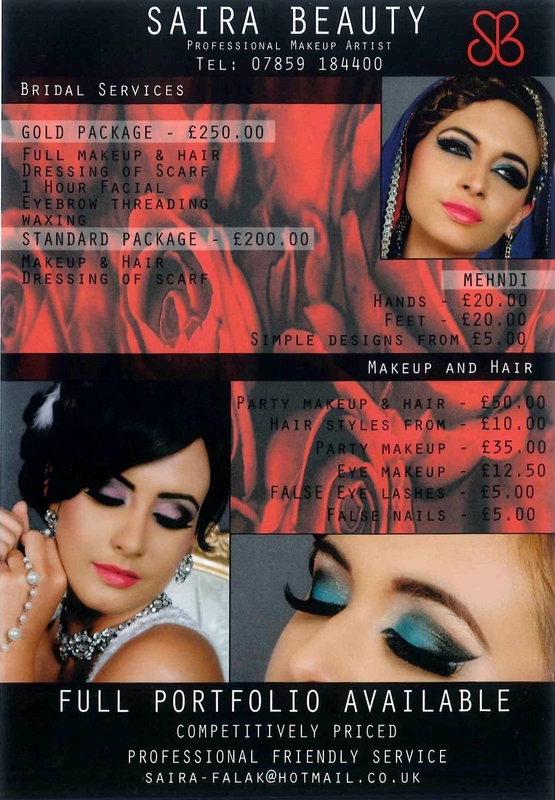 Saira Beauty is now open in Bradford Bazaar offering Facial treatment Threading Waxing Bridal Services Makeup and Hair. 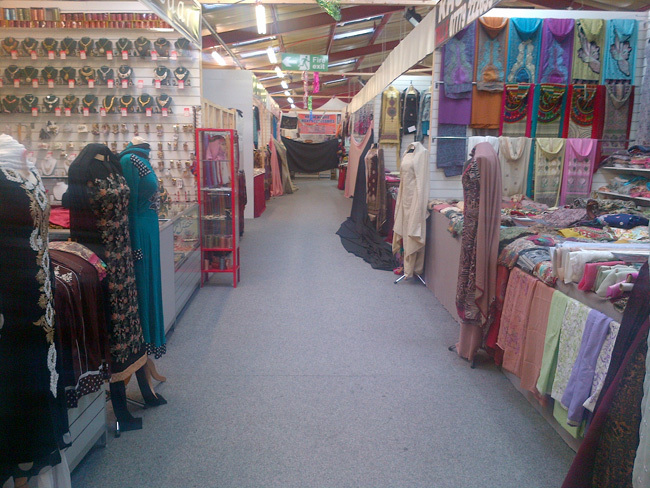 Bradford Bazaar will be opening continually from the 12th July until Eid from 10am until 8pm. Now you really can shop till you drop. 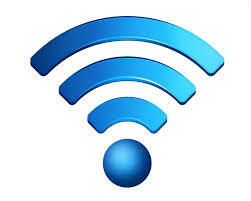 We now have free WiFi at the cafe. 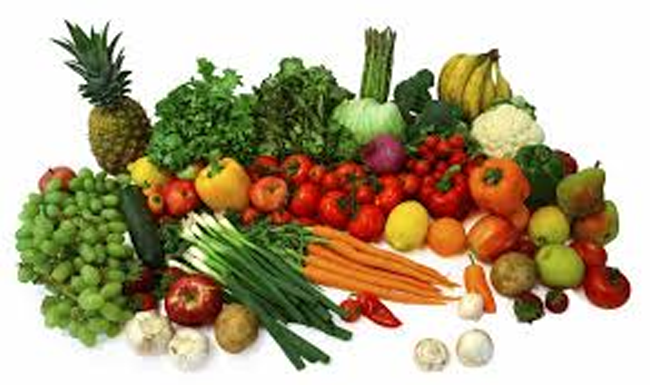 Just connect to Cafe Bazaar and surf the net whilst you enjoy a hot or cold snack. 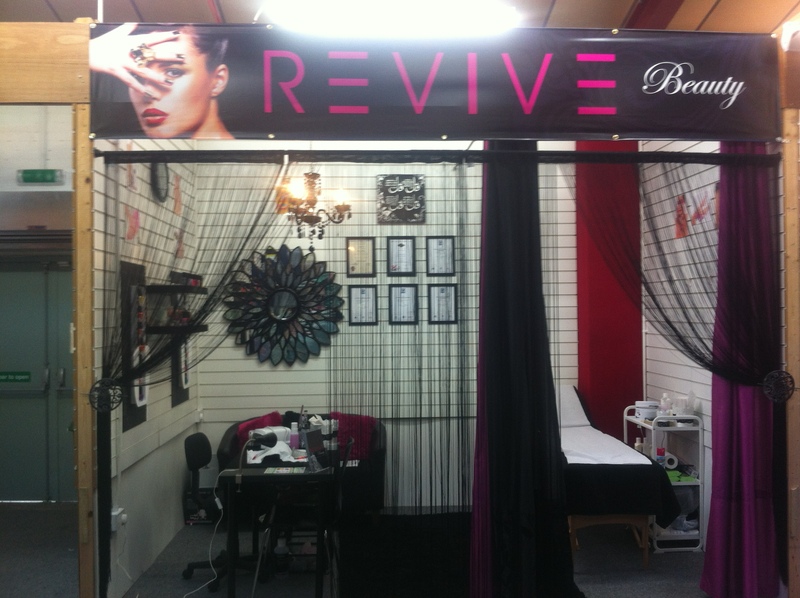 We are pleased to welcome into Bradford Bazaar our new beauty technician. Whether you just need your eyebrows doing or a full facial just come along and you will be well looked after. No appointment necessary. 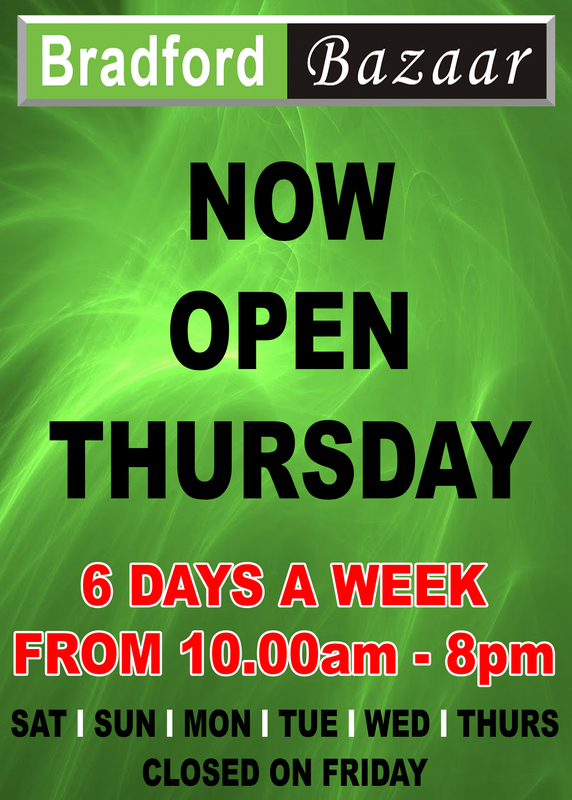 We will be open on Christmas day from 10.30am until 6pm. We have a massive 1 day sale with 20% off at most stalls. We are giving free Samosa chaat to our first 50 customers and are selling it for just �1 for the rest of the day. 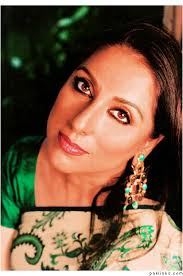 Following our visit by Vyjayanthi Mala last month I can now announce that on Monday the 4th November 2013 we will be treated to a visit from none other than Actress and director Samina Peerzada. Please come along to have a picture taken with her or to get her autograph. On Sunday 20th October 2013 Bollywood Legend Vyjayanthi Mala who was in Bradford to attend an official function could not resist visiting Bradford Bazaar as she had heard all about us. Word soon got around that she was here and she was happy to pose for photos and sign autographs for starstruck customers and traders. Check out our gallery for pictures of the visit. 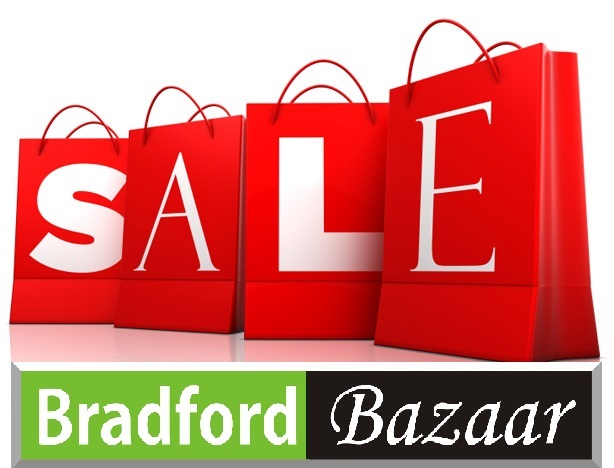 Come to Bradford bazaar every Saturday and Sunday from 17th August until the 8th September 2013 where we will be having a live one hour broadcast by Pakistan FM Bradford. Here are the lucky winners of the 10 free suits draw held at our chand raat on the 8th August 2013. Farhana Patel of Batley Rina Bibi of Keighley S Azad of BD7 Maneeza Begum of BD3 Areej ashid of BD8 Sakina Mayet of Batley Amina Khan of BD3 Saila Yaser of BD9 Mrs Lorrain of BD3 Vijay Gohri of Calverly. 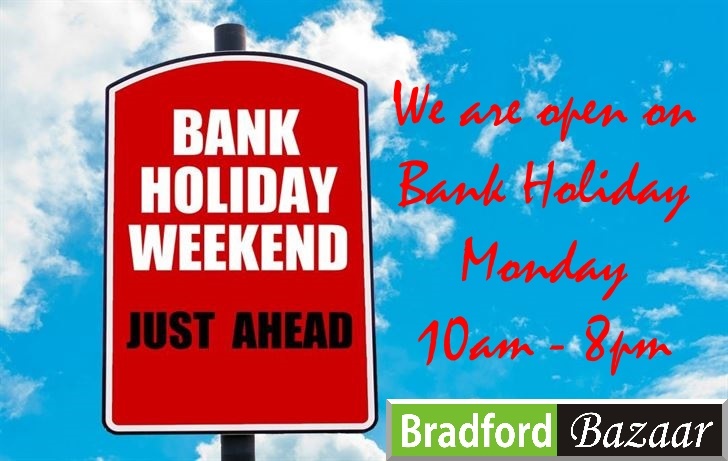 Until further notice Bradford Bazaar will open at 11.00AM and not 10.00AM. We apologise for any inconvenience this may cause. We had a fantastic time on our first anniversary with super star Jackie Shroff. Check out our celebrations pics on facebook and dont forget to like our page.